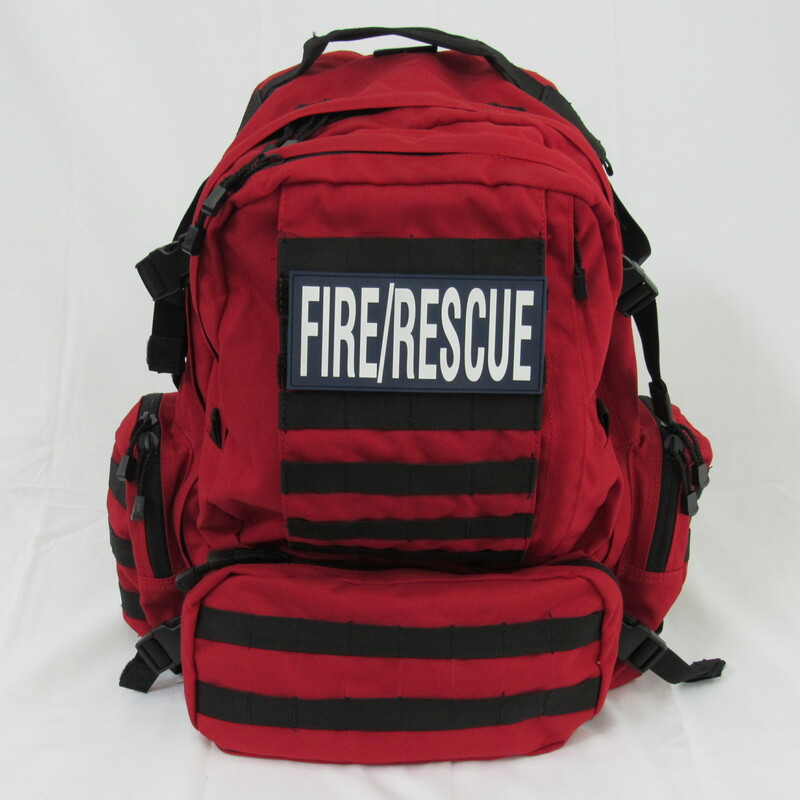 The Emergency Services Team Pack is designed for the Rescue Professionals and Fire/Rescue Agencies. This Jump Bag is equipped with three deep 8 inch exterior pockets on the side and larger main pockets with support straps for all critical lifesaving gear. Can also accomodate O2 system and includes an emergency litter for extraction. These packs are designed to be used by Professional Emergency Medical Personnel. The packs contain enough critical medical gear to treat or actively start lifesaving actions for rescue scenes encountered in the field . They are extremley rugged and still comfortable enough to deploy with for extended periods of time. With over 190 items these packs are versatile and extremely lightweight. They are currently being used by a number of Fire Rescue Agencies and Paramedics around the country. The packs have multiple zippered pockets and pouches for all medical gear and have a M.O.L.L.E. exterior to create a custom response solution for you and your agency.